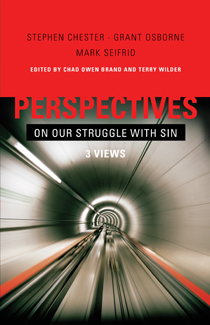 My friend Terry Wilder has recently edited a volume offering differing perspectives on understanding the struggle with sin described in Romans 7. I received a complimentary copy and it looks very helpful. Three authors offer their perspective on interpreting Romans 7 in individual chapters. The other two contributors respond to the other chapters. This creates a book that is more dialogue than diatribe and which stimulates the mind while stirring the soul. The publisher’s website provides an overview of the contents of the book. If you’d like to order a copy of the book, it is available in print and for Kindle here.